I couldn’t decide what to call this book. Avos? Avot? We live in Israel, but I am proudly Ashkenazi. In my head I say Shabbos, Shavuos and Avos, but everybody around me says Shabbat, Shavuot and Avot. I also still call our Chanukah candle-holder a menorah, resisting the “Chanukiyah” pull with all my strength. I went with Avot anyway, just as I have in most of my recent books. There’s just too many of “them” out there… and when I say them, I mean also my own children, who are learning in Israeli schools. The Family Torah is all-Ashkenazi, all the time. But everything else is Sefardi, pronunciation-wise. Including this book. 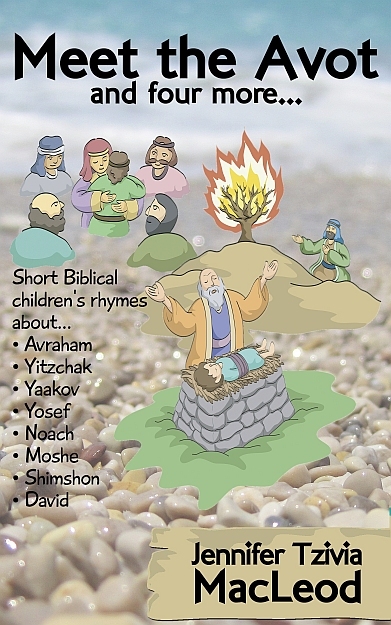 It’s short but sweet: a collection of children's rhymes (with illustrations) to introduce the Avos/Avot : Avraham, Yitzchak, Yaakov, Yosef, plus Noach, Moshe, Shimshon and David. It’s based on poems and ideas I came up with while homeschooling -- but never had a chance before to edit and "smooth" for public consumption, the book is perfect for Shabbos (or Shabbat?) -table discussion or just to help kids get a sense of who these important ancestors were. You won't find the whole story of each one's life, but you will find one "moment" or incident for each that shares a lesson we and our kids can still learn from today. This one won't be coming out in print; right now, it's Kindle only (if you mail me a receipt for your Kindle copy, I can send you an epub or any other version you need for your own ereader!). You might not love ebooks as your main reading-to/with-kids vehicle (join the club! ), but I hope you'll try it out anyway. I'd love to hear what you think. To thank you for following my blog in 2014, I'm making the book 99 cents (Canada/U.S.) from now until January 15th. After that, it will go up to $2.99. Click here to view/buy on Amazon. Usually, I write reviews of Jewish books – for kids and adults – here on this blog (Adventures in MamaLand). But I also have a blog called Write Kids’ Books, specifically for children’s book writers. Sometimes, there’s some crossover and I’m not sure where to post something. When I took a children’s picture-book writing course earlier this year, I had to research “comps” – comparable books on a similar topic. Since I was writing a Chanukah book, I decided to research what else was out there in the world of Chanukah books. I chose these books almost at random, but I think it’s a good assortment of what’s out there. Over on my writing blog, I’ve shared a short analysis of each of these books. Let’s face it. There are more of them than there are of us. Lots of them in the world. And not so many of us. When we were homeschooling, I envied Christian homeschoolers the wealth of educational kkresources they had that integrated their faith with every subject imaginable: from literature to math, from history to science. So much so that we tried out a few programs, like Apologia Science. I liked them to some extent, and the faith part was great, but we kept running up against bits of the program that we couldn’t use: the Christian parts. I particularly loved the idea of integrating faith and science. That’s why I decided to create a new series of science ebooks written specifically for kids growing up with a Jewish worldview. Have you ever wanted to hand your kids a science book knowing they’ll get more out of it than just the bare facts? Have you wished they could learn about science through the wonder of faith – without encountering random Christian tidbits? Do you want them to know that Hashem is behind everything that exists on this earth, even if it’s not usually considered part of “limudei kodesh”? 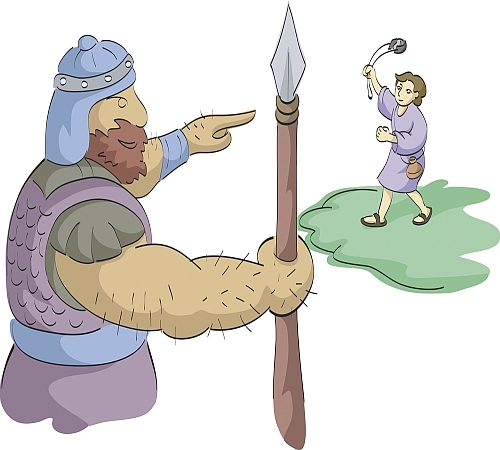 We live in an Olam Shel Emet – a world of Torah truth. So that’s what I’m calling these books. It takes a long time to write a book from scratch. A reeeeeally long time. On my other blog, writing about and reviewing children’s books and ebooks, I’ve been able to read some of what I think are the best books available in this genre, so I have pretty high standards. Plus, I don’t have anything like this to work from – everything here is original and totally new. The first volume in the series – I’m writing them, so I get to pick what I write! – is all about invertebrates: Hashem’s “spineless wonders,” in the sea and on the land. Here’s a short excerpt from the introduction.